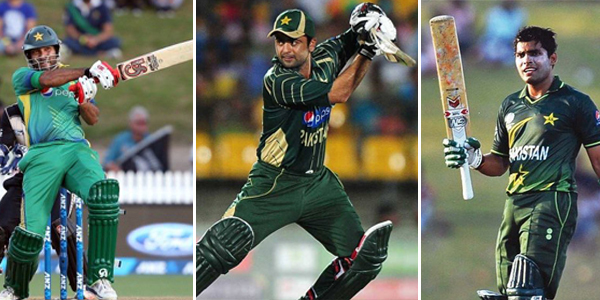 Why has Pakistan forgotten how to bat in the shorter formats? So what then is the reason for this decline? I guess we just stagnated. We were too consumed with our laurels of the 90’s where we had a team that was just generally god gifted. We just thought that we will keep on finding such talent. Some say, it’s a confidence issue. Others say that it is the lack of international cricket at home. Fingers are pointed at the flawed domestic setup or the nepotism in selection. Whatever the case may be; as far as ODI and T20 cricket is concerned, Pakistan batting is indeed at its lowest ebb ever. After watching the recently concluded ODI series between Australia and India, I was mesmerised by the batting at display. It was aggressive, belligerent, but at the same time poised and full of confidence. Chasing or posting scores in the proximity of 300 and above was the norm. On the other hand, head east a bit towards the shore of New Zealand, and we see the green shirts finding it hard to chase even 280 on the much diminutive grounds of the Kiwi’s. It just made me wonder how immense the gap has become between the Pakistan batting and it’s counterparts. I believe the last time a Pakistani batsman scored a comprehensive match-winning century, was about the same time that Qaim Ali Shah must have been born. It’s as if, overnight, we have just forgotten how to bat in the shorter formats. Correct me if I’m wrong, but weren’t the Pakistani players in the days of yore known for their aggressive style. Be it bowling or batting. Yes, I confess that ours was never the most dependable of batting line ups, and it was always one heartbeat away from a collapse, but aggression was our forte. This is one of the reasons that we did so well in ODI cricket and the initial T20 world cups. These formats were tailor-made for us. The lack of playing at home has no doubt hurt us, but that does not justify the gulf that is so evident between the Pakistan batting and the rest. Plus, our adopted home in the UAE can boasts some of the flattest tracks on this planet. So really, there is no excuse for the batsmen to not score big. So what then is the reason for this decline? I guess we just stagnated. We were too consumed with our laurels of the 90’s where we had a team that was just generally god gifted. We just thought that we will keep on finding such talent. Well, we did so in our bowling but weren’t so lucky with the bat. I remember as a kid in the 90’s, the subtle wrist work of Anwar, the brute force of Afridi, the calmness/ferociousness of Inzi (depending on which mood he was in) and the brilliant stroke play of Yousa Youhana (later Mohammad Yousaf). 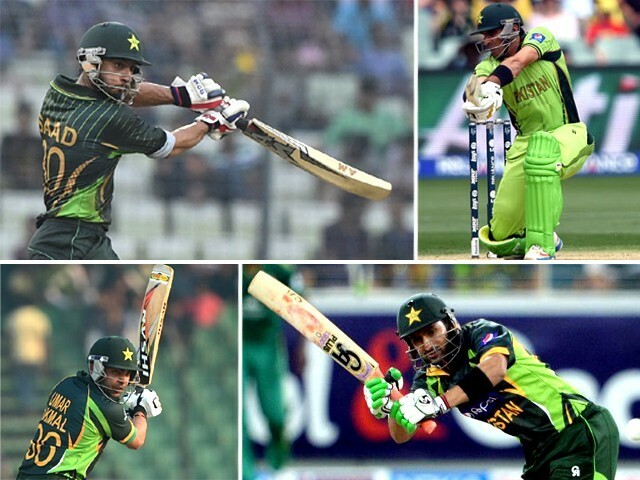 These guys had different styles but they all had an appetite for scoring big runs and scoring them quickly. More importantly they knew how to build an innings. Compare them with the current lot, and it seems that the batsmen today are just unsure of how to go about scoring their runs, especially when the situation demands some alacrity on their part. It’s been an eternity that Pakistan has produced a proper modern day batsmen for ODI cricket that can score consistently and quickly. While the batting in Test matches has been hunky-dory, we have hit the reverse gear in the shorter format. I’m sick and tired of waiting for Umar Akmal, Sohaib Maqsood or Ahmed Shehzad et al. to be the next big thing. Guess what? It isn’t happening and I don’t see it happening anytime soon. The Pakistani batsmen need to really do some serious soul searching and change their ways to keep themselves relevant in this day and age of powerful hitting and rapid run making. In short they need to find their lost mojo. In the meantime, we, the fans, have to make do watching and marveling at the great batting displays of the foreigners, albeit with a tinge of jealousy and wistfulness. The author is a Pakistani living in Australia with a keen interest in current affairs and sports.